While the Linux version still remains in a "soft" launch phase (not officially advertised), it's good to see Bulwark Studios and Kasedo Games give it some attention. In this update, they've fixed the intro video being black and also the game should no longer be capped to 30FPS if you had that issue. Additionally, it seems you no longer need to opt into any beta to access the game. For someone who hasn't been a Warhammer fan for very long, even I will admit that the design work in Mechanicus is really something. 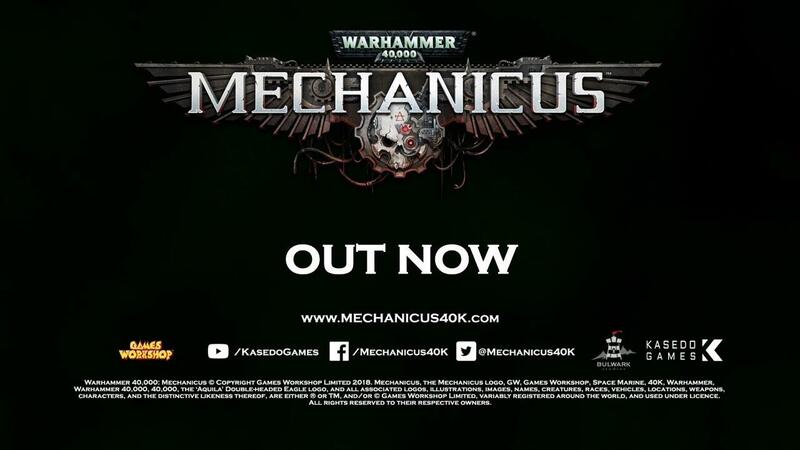 There's quite a lot of Warhammer games out now, a number of them not particularly good but Mechanicus really sets itself apart. Mixing in some engrossing story-telling, exploration and XCOM-like battle mechanics it certain has a fantastic overall atmosphere to it. The ability to scan enemies to reveal any information on them certainly keeps it interesting, as does the need to acquire resources as you progress through each battle. I'm really not surprised it seems to have reviewed well overall by users and other critics, as I've been greatly enjoying my time with it. If you like turn-based tactics (even if you're not a Warhammer fan) I think it's a good one to pick up. It's a nice game, and with Gladius, the 40K vibe on Linux is well served these month. The ambience in the game is excellent, i'm just waiting for a few updates to polish the content and balance the gameplay, but it's been several great hours already. I'm not a fan of 40K, i totally don't care about the license itself, but i love the "rusty dirty violent always war hopeless nobody is a good/bad faction" appeal. The Emperor's inquisition informs any and all that this would be heresy and orders those who would hold this opinion to report to their local Ordo Hereticus agent.